I don’t know about you but summer for me means plenty of yard sales to browse for interesting items. One of the great things about yard sales is the prices of course, and I have found many a bargain. One item I look for at yard sales is sweaters. Let’s face it, it’s summer it’s hot and quite often they will let those sweaters go for mere pennies. So it’s also a great time to find some sweaters to recycle into knitting yarn. Recycling sweaters is quite fun, and can get you some of those luxury fibers for a whole lot less. Where else but a yard sale can you get a silk sweater for a song? And it’s quite often easier than you think! Don’t forget to take a little shopping trip in your closet too, have a sweater or two that have seen better days? Give them new life as a hat or a pair of mittens, or even some blanket squares! There are a few key qualities you need to look for when shopping for sweaters to recycle. The second method is the slip stitch crochet seam. This is what you want. Sweaters that have a slip stitch crochet seam are knit back and forth and will yield a continuous length of yarn when unraveled. 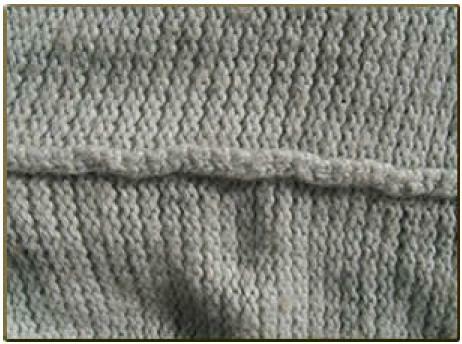 To find a slip stitch crochet seam look for a seam similar to the one seen in the photo below. The next quality you want to watch out for is content. It really depends on your preference but there are a few fibers to avoid and a few to be wary of. Natural fibers are always best, wool, cotton and linen are some fibers generally recycle easily. If the sweater is recyclable it’s a great source for luxury fibers. Some fibers or yarns to avoid are mohair, chenille and some wool. Mohair is notoriously difficult to unravel and so it might not be worth even trying. Chenille, can basically fall apart as you de-construct the sweater rendering the yarn useless to you. With wool, if it is 100% you need to watch out for felting. If the strands of the sweater look matted or stuck together pass on the sweater, you just won’t be able to pull it apart. Also along those lines look out for sweaters that have a lot of pilling, pills are a sweater recycler’s nightmare, they will snag you up every time! Stitch style: you are probably saying to yourself stitch style? Why does that matter? Well it can matter for a few reasons. A plain stockinet sweater will be easier for you to unravel than one with a fancy stitch pattern. On the same note a sweater with lots of cables will yield more yarn than one that is plain stockinet. Size: The bigger the sweater the more the yarn! So in this case bigger is better! 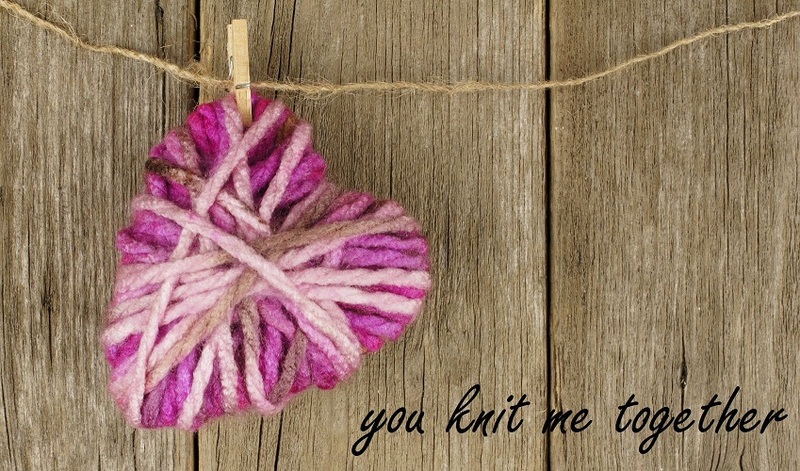 There are a few tools that you might find handy when recycling knits. Once you have picked up a few victims sweaters it’s time for the recycling to begin. First you need to undo the seams. With a slip stitch crochet seam this should be as easy as unzipping a coat! Snip the seam at the top and then pull on the strands to undo the seam. If the seam does not give at the top, you might want to try from the other side of the seam, or from the bottom of the piece. For shoulder and body seams the easiest way to pull out the seam is usually from the top down. Quite often for sleeves the seam is easier to pull from the wrist up towards the underarm. 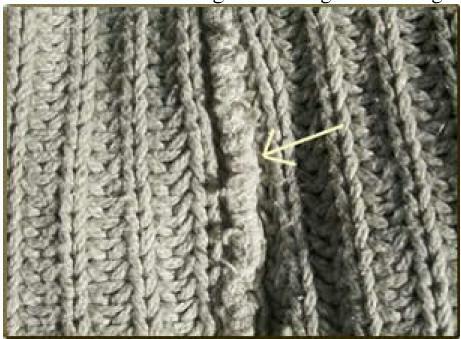 Undo all the seams that you can, including the neck seams, so that all the pieces of the sweater are separated. Once you have the seams pulled out, the real fun begins. Slowly start unraveling the parts and wrap it into a ball. Usually all the parts will unravel best when starting from the top and working down. A ball winder comes in handy for this you can unravel the piece very quickly and work it up into a nice ball at the same time. After the entire sweater is unwound you will want to work the yarn into a skein. This can be accomplished by using a swift, niddy noddy or the outstretched arms of a willing volunteer. Worse come to worse, wrap your yarn around the legs of an upturned kitchen chair! Secure the skein and then soak it in lukewarm water to relax the fibers. (You may want to use a wool wash or mild detergent to give it a little cleaning at that point as well) Hang it up with a little weight pulling it downward to straighten out the fibers. Then once it’s dry knit it up and enjoy!